Tablets at restaurants: Applebee's, Chili's race to eliminate human interaction. Soon you’ll be able to go out to eat without talking to anyone at all. Score one for the machines. On Tuesday, Applebee’s announced plans to install a tablet at every table in its 1,860 restaurants across the United States. Customers will be able to use the devices to order food, pay the bill, and ignore their dining companions by playing video games. The Presto [E La Carte’s tablet] aspires to be the food-services version of the airline check-in kiosk or the ATM or the self-checkout at your local pharmacy. It makes a person’s job a computer’s job, and that cuts costs. Each console goes for $100 per month. If a restaurant serves meals eight hours a day, seven days a week, it works out to 42 cents per hour per table—making the Presto cheaper than even the very cheapest waiter. Moreover, no manager needs to train it, replace it if it quits, or offer it sick days. And it doesn’t forget to take off the cheese, walk off for 20 minutes, or accidentally offend with small talk, either. The restaurants deny that the tablets represent an attempt to replace human employees with computers. 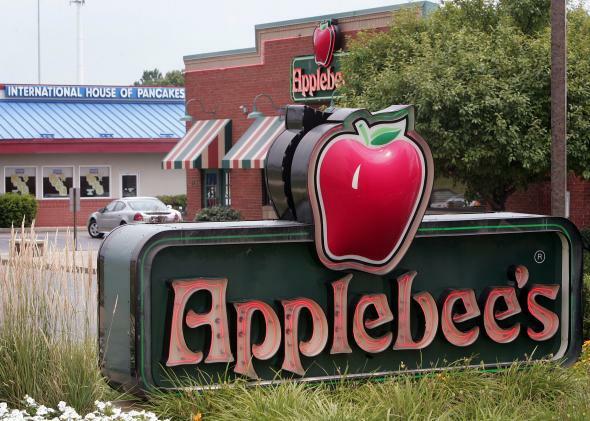 Applebee’s is saying that it won’t change its staffing levels when the devices come online next year. And Chili’s is optimistic that the tablets will pay for themselves by bringing in extra revenue from impulse orders and at-the-table gaming. Not only will you not have to talk to a waiter when you want to order something, you won’t have to talk to your kids, either! Then again, of course these businesses are saying they won’t use the tablets to replace employees. Announcing layoffs along with the tablet move would be begging for a backlash. The fact is, if the tablets work, they’ll make the ordering process more efficient and cut the amount of human labor that these restaurants require. At that point, do you suppose they’ll keep the extra waiters around out of charity?